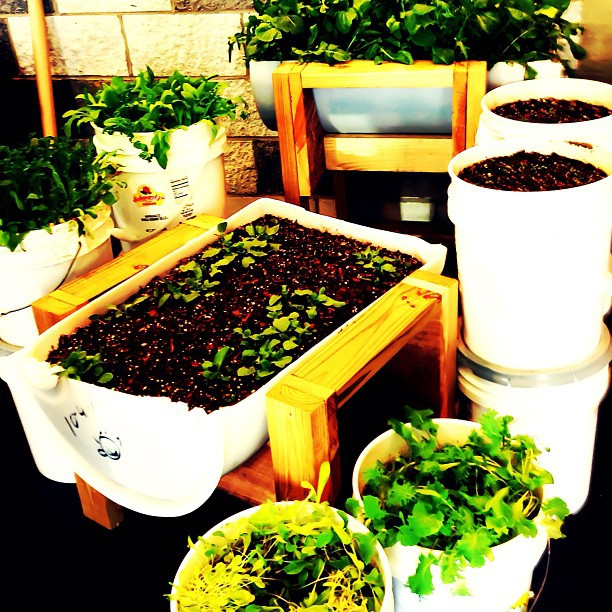 I love spring because it means warmer weather and flower planting. Usually, by the time I come out of hibernation the bulbs placed in the ground during the fall months have already started pushing through the earth with new blooms. That calls me to plant something else to go with them. 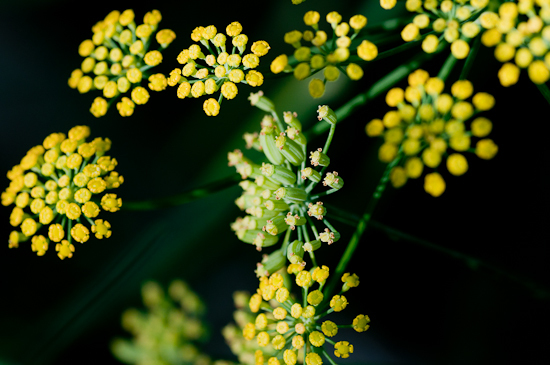 However, after being dormant all winter unwelcome invaders want to invade my flower garden. Weeds! They not only ruin the look of the garden, they can choke out the beautiful plants I love. Pulling them out of the ground can become hard work, but if they are attacked while they are small, the task is easy. Those weeds started out as seeds that were dropped onto the ground or blown there by the wind. They weren’t noticeable until they started to grow. Seeds are small and can’t be seen after they are put into the ground. But after they grow, the type of seed that’s been planted is evident. It’s a lot harder to get rid of weeds in the garden that have been growing for a long time because the roots are deep. Bad thoughts and attitudes that are allowed to stay in place can get deep roots also. The longer we let them stay, the harder they are to get rid of. Our mind is God’s garden. Seeds can get planted there according to what we put into our minds. If we plant the good seed of God’s Word, we have a beautiful, fruitful garden for all to enjoy. But if we let bad thoughts, attitudes, and emotions grow, we have weeds. That's why we need to take every thought captive to the obedience of Christ. (I Corinthians 10:5). We must guard our hearts by renewing our minds with the Word of God. Pulling out those weeds from the enemy while they are small will ensure they don’t take root and clog our hearts. Our wellspring of life can flow freely if it isn’t stopped up with weeds. “Above all else, guard your heart for it is the wellspring of life” (Proverbs 4:23). Join the conversation and share how you stop the weeds. Memorial Day was set aside as a time to remember those who have given the ultimate sacrifice to birth our country and defend its freedom. While the holiday has become a time for sales and barbecues for some, it's important to honor the reason for the day. The following is a list of the wars fought since the beginning of our nation and the number of casualties each war cost. 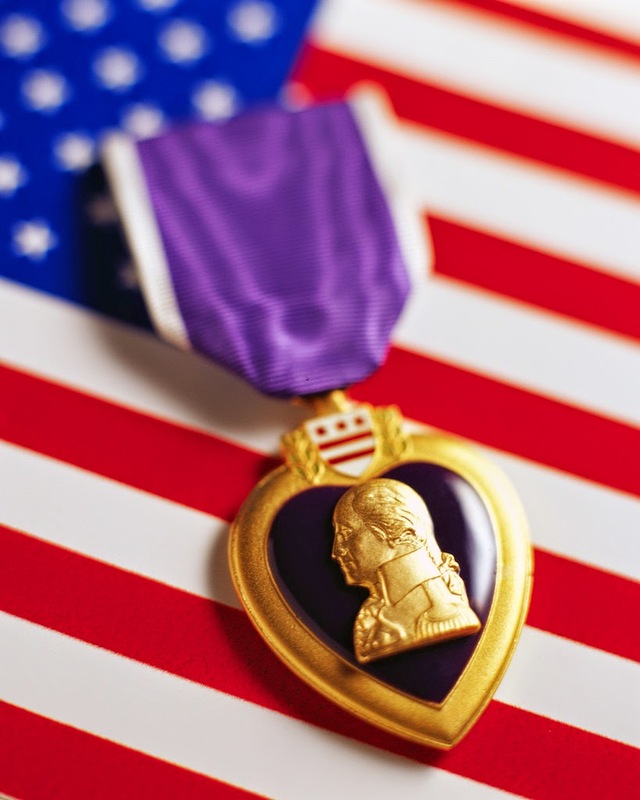 It's easy to forget how many have paid this price until the numbers are in front of us. Thousands are buried at Arlington National Cemetary, many more on battlefields all over the world; some in unmarked graves that were never found. May we never forget the blessing of freedom and the cost so many paid to bring it to our shores. Please use the comments section to remember a hero of yours, or share your thoughts about America and Memorial Day. In celebration of Mother's Day, I thought it would be fun to reminisce a little. 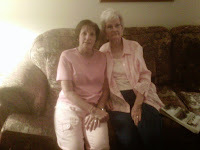 Did you grow up hearing your mother say certain things over and over again to try to get you to do something? Or maybe stop doing something? My favorite one is, "Eat all your vegetables because there are starving children in China." I never figured out how if I ate everything it would help all those starving children! I love you, Mom! How about, "You just wait until your dad gets home?" Or "Don't cross your eyes or they will get stuck that way." What about you? Share some things your mom said to you that have stuck with you through the years. Maybe you are even saying them to your children! 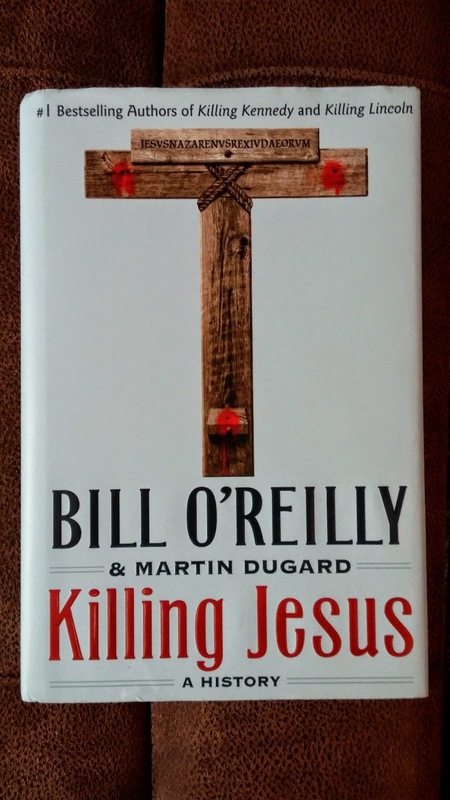 In Killing Jesus, Bill O’Reilly and Martin Dugard explore the behind the scenes events that led up to the crucifixion of Jesus Christ. As in their other “killing” books, they dig into facts and history little known to most people. The political climate of Israel is examined in light of the country being under the rule of the Roman Empire. The authors go back to Julius Caesar and Cleopatra to give details of how Pontius Pilate was placed as procurator of the region. While this is not a book for spiritual enlightenment, it does give a clearer picture of the attitudes of zealots, evil kings, and Pharisees and the power struggle behind them. Proper maintenance is essential to enjoying a lush and beautiful lawn.The following tips can bring grass to the desired level of beauty and health. Don’t cut too short – cool weather grasses should be 2 ½ - 3 ½ inches, warm weather grasses 1-3 inches. Cutting too short can leave dry brown patches and expose roots. 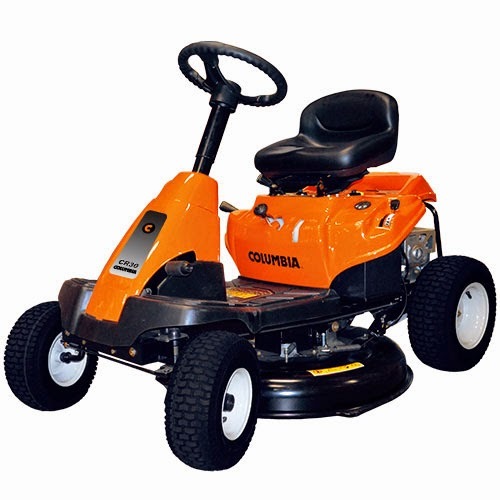 Watch your speed – going too fast can leave uneven clumps and prevent tall grasses from being cut at all. Keep eyes forward – looking ahead a few feet can keep rows straighter than if you stare down at the tires of your mower. 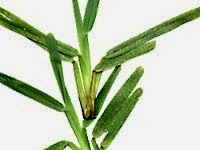 Mulch while cutting – leaving the clippings can provide nutrients for the lawns health. Overlap rows – make passes a few inches overlapping the previous run to ensure no uncut strips remain. Sharpen blades – start the season with new or sharpened blades for a clean cut to prevent tearing the ends of the grass which can invite disease and pests to invade. Using the proper mowing techniques can provide a healthy and beautiful lawn all summer long. I am reposting last year's article about the National Day of Prayer because we still need to pray for these needs. 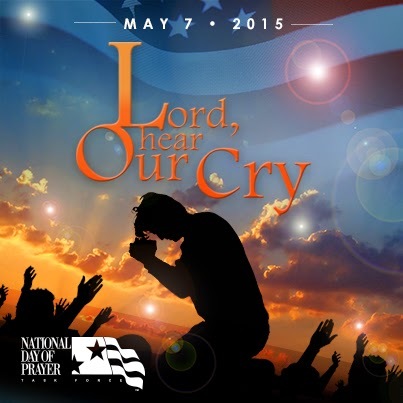 Thursday, May 7, we will observe the National Day of Prayer for 2015. In the midst of all the turmoil, controversy, doubts, and fears that assail our world today, it is an important tribute to our nation that we still observe this special day. As we set aside a time to focus on praying for our nation, I would like to list things I am lifting to the Lord for our nation. Our leaders – we are commanded by God to pray for those in authority over us. We need to pray that those in leadership positions will govern according to God’s ways. If they don’t know Him, I pray they will come to know Him and if they absolutely refuse to abide by God’s laws, I pray they be removed from office by our election process. Our military – Our defense and security are high priorities and needs to be a wall of protection around us. Cutting our budget for defenses and the giving away of secrets have poked holes in our security in the last few years. PTSD and other maladies have affected our service members as never before causing more suicides than deaths by war in the last year. Our morality - People think they can do their own thing with no repercussions. When there is no accountability, there is failure. Our attackers – It’s hard to pray for those that come against us, but Jesus commanded us to pray for our enemies. Presenting the gospel to them is the only way they can stop being our enemies. Whether it is outside attackers, or those who are attacking our freedoms from within, God is the only one with the power to change them. Our freedoms – Many of our freedoms seem to be eroding away. As government grows larger, the choices of people grow smaller. May we hold on to our freedom to worship God publicly, express our opinions, and protect our homes and assets without interference from government or liberal and atheistic opinions. May God continue to bless America. Join the conversation and share your prayer requests for our nation.